On december 1991 the red banner was hauled down in Cremlin and this was the end of the Soviet Union. Today we don't know much about that world, notwithstanding the lackness of the old political barricades. This site, dedicated to anyone interested in militaria and uniforms, collectors or not, concernes uniforms of the Soviet Army. It's organized into two sections; the first, fotografic, shows uniforms and accessories from private collections. 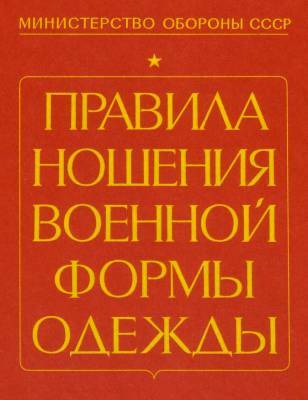 Through the link PICTURES, you can see the pictures taken from the book Uniform's rules, 1988 (240 pages, whose cover is in the upper picture), of the soviet defence ministry. You can also download the pages, with russian text, and italian translation, at the links below. Advice: it is not allowed, by any reason, the use of pictures, images, general content of this site, except by previous authorization.